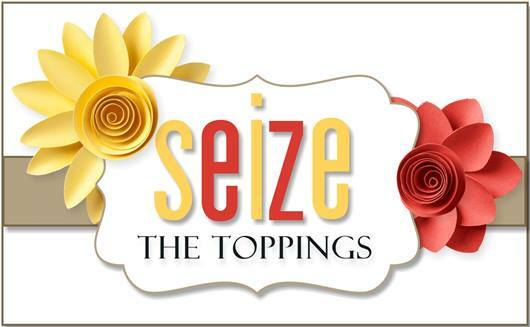 over at Seize the Birthday have a “Toppings” option that fits the occasion. 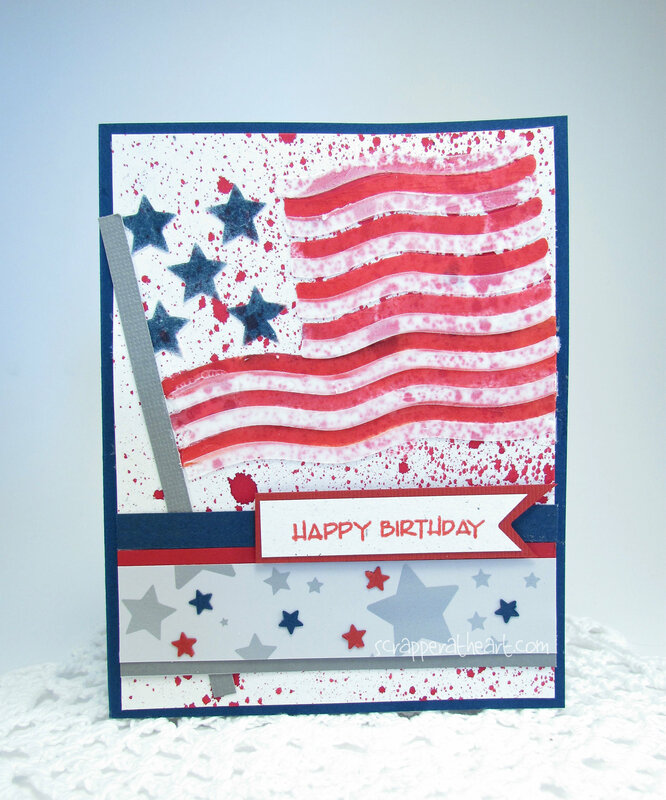 just incorporate Stars and or Stripes in your card! And remember over at STB the “Topping” is and Option and not a requirement! You just have to stick to the Birthday Theme! perfectly when I heard all about it! Don’t you love when that happens! They also have a Patriotic theme going on! Best of Luck Maria…on your new Challenge Site! Here are a couple more shots of my card so that you can see the details. My new favorite thing is Embossing paste! Soooo Fun!! I have two layers on my flag. It’s so much fun going through my stencils and using them again! I soooo wish I would have taken step by step shots of this card..because it had many steps. stars they have paste under them as well. stars on it to tie it all in together. Luckily I have a small star hole punch! I have a girlfriend who has a Fourth of July Birthday…and I sure hope she likes her card! Now, I have linked up both sites for you to go and check out! I hope to see you over at STB this time! with the Topping this week! 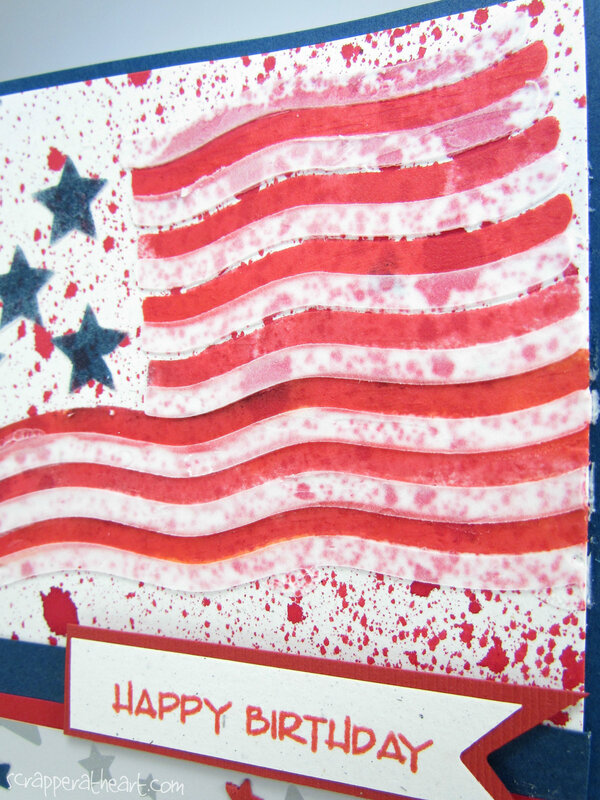 Categories: Cards | Tags: Card making, Cards, Fourth of July, Happy Birthday, mixed media, rubber stamps, stamping, Star and Stripes, Verve Stamps | Permalink. 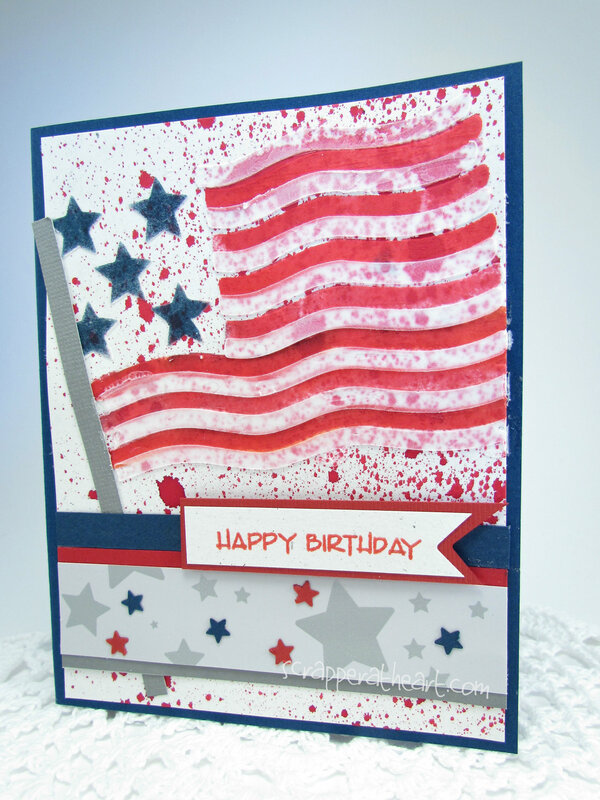 That is a gorgeous card and love that it is patriotic colors too for the most part. I always like stars and stripes in any color combo though! You did an amazing job with the mixed media elements!! Great card design too! Beautiful card Nancy. I love the patriotic colors and your mixed media effects. Yeah Nancy! I LOVE IT! Super cool and fun! THANKS so much for playing along with us at Mixed Media Mojo!! Wow this is so awesome! I am with you, I loooove to play with embossing paste! Love your flag, thanks so much for playing with us at Mixed Media Mojo!!! This is terrific! Love the cool technique and embossing! Great card! Wow…great card Nancy! Love the flag. So clever! this is a great tribute to our country, nancy!! I am so IMPRESSED and PROUD of your mixed media awesomeness! Gorgeous flag with embossing paste and splats! LOVE this to pieces! Awesome way to show off the “Stars and Stripes”! Your card is fabulous Nancy! WOW! So elaborate and creative! Great work. Fabulous card design. 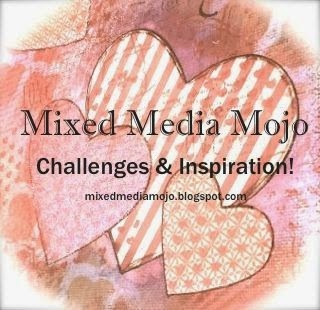 Thanks for joining the Mixed Media Mojo Challenge!